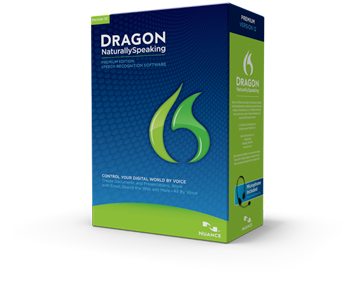 Dragon Naturally Speaking 12 Premium Edition - ACE Peripherals ::: Completing I.T. Dragon Dictate for Mac, version 4 merges fast, accurate speech recognition and versatile transcription to fit the way you work. Dictate and edit documents, send email, transcribe voice memos from your smartphone, and more with just your voice. Interact with your PC by voice, with even greater freedom and flexibility. Sometimes you don’t want to be tethered to your desk. Go wireless with the included Bluetooth headset. Capture notes, thoughts and ideas on the go with the included Philips Digital Voice Tracer 662 Handheld Recorder. Dragon’s faster than ever. By taking advantage of the latest multi-core processors in today’s PCs, correction and editing are easier. Dragon is naturally intuitive, and doesn’t take much time to learn. Ready to use out-of-the-box, get creative and productive fast. Correcting a word or phrase is a piece of cake. Dragon includes more choices to make it quicker and easier to make a change. RAM: We recommend 2 GB for 32-bit Windows XP, Windows Vista, Windows 7, Windows 8 and Windows Server 2008, 4 GB for 64-bit Windows 7, Windows 8, Windows Server 2008, and Windows Server 2012. (Minimum: 1 GB for Windows XP and Windows Vista, 2 GB for Windows 7, Windows 8, Windows Server 2008, and Windows Server 2012). CPU: We recommend 2.2 GHz Intel® dual core or equivalent AMD processor. (Minimum: 1 GHz Intel Pentium® or equivalent AMD processor or 1.66 GHz Intel Atom® processor). Faster processors yield faster performance. IMPORTANT: SSE2 instruction set is required.